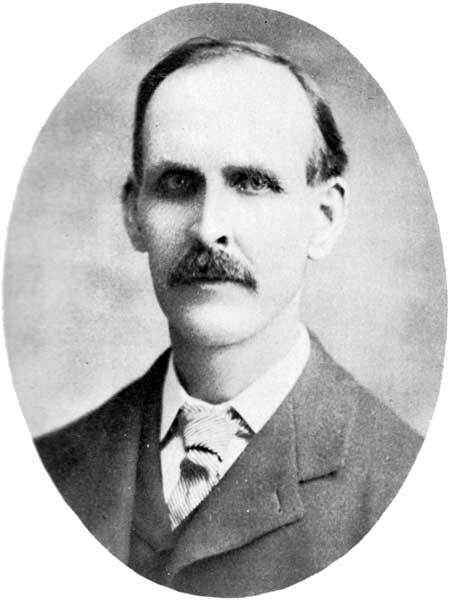 Born on a farm near Dalhousie, New Brunswick on 27 August 1852, son of Andrew McIntyre and Mary Murray, he was educated in the common schools of New Brunswick, the Fredericton Normal School, and Dalhousie University. He taught in the schools of his native province from 1872 to 1882, the last two years as Superintendent of Schools in the town of Portland, which has since been incorporated as part of the City of St. John. He was admitted as Attorney in New Brunswick in 1882, and came to Winnipeg the same year, entering the school service of the City of Winnipeg at the beginning of 1883 as Principal of Carlton School. In 1885 he was appointed Inspector of Protestant Public Schools and, under the Public School Act of 1890, became Superintendent of Public Schools. He served for upwards of 30 years as representative of the teachers of the Eastern Division of Manitoba on the Advisory Board of Education, and for almost the same period on the University Council as one of the graduate representatives. He was a President of the Manitoba Educational Association (1911-1912). For many years McIntyre was identified with the work of the Children’s Aid Society of which he was the first President, and later with the activities of the Institute for the Blind, in both of which organizations he was keenly interested. In recognition of his work in education, he received an honorary doctorate from the University of Manitoba in 1912, and was made an officer in the Order of the British Empire in 1935. In 1878 he married Mary Susanna Getchell (1858-1921) of Chatham, New Brunswick. They had five children: Andrew Murray McIntyre (b 1882), Donald Faison McIntyre, Alice Margery McIntyre (1889-1898), Henry Getchell McIntyre (1892-1898), and Stuart Scott McIntyre (1897-1917). He died at Winnipeg on 14 December 1946 and was buried in Elmwood Cemetery. He is commemorated by Daniel McIntyre Collegiate in Winnipeg. In 2016, he was inducted into the Winnipeg Citizens Hall of Fame. Daniel McIntrye and the Winnipeg Schools by William T. Wilson (1981). “Dr. Daniel McIntyre dies at age of 94,” Winnipeg Free Press, 16 December 1946, page 1.